Stand your ground laws have received significant media attention in recent months, particularly in light of the George Zimmerman trial last year. Stand your ground laws are essentially a type of self-defense law, which vary from state to state. While many states have enacted “stand your ground” laws, Minnesota does not have a so-called stand your ground law. Instead, Minnesota law imposes a “duty to retreat,” which means that if a person feels threatened, he or she may only use deadly force as a last resort. Conversely, states that have enacted stand your ground laws, like Florida, make it lawful for a person to use deadly force if threatened without a duty to retreat. Self-defense laws – whether stand your ground, duty to retreat, or castle doctrine – are complex and difficult to understand. Self-defense laws frequently arise in cases involving charges of murder, attempted murder, manslaughter, domestic violence, assault, and weapons violations. 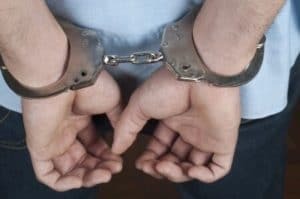 If you have been charged with a serious felony crime that involves issues of self-defense, it is important to consult with a criminal defense attorney who understands Minnesota’s self-defense laws and how they apply to various criminal charges. The Minnesota felony defense attorneys at Keller Law Offices focus on representing clients in the Twin Cities who are facing felony charges involving murder or other violent crimes. We understand that your freedom and livelihood are on the line when you are facing such serious charges and that you are probably confused about your legal rights and options. Because we focus on defending clients charged with Minnesota state crimes and federal crimes, we can handle the legal, factual, and evidentiary issues that are involved with situations of self-defense. If you are facing criminal charges, do not delay. Contact the Minneapolis criminal defense law firm of Keller Law Offices at (952) 913-1421 today to learn more about how we can help defend you, including the assessment of any self-defense issues.